The Seven Seas is a 45-meter, traditionally built Indonesian sailing schooner built from the finest ironwood. Comfortably accommodating 16 guests in 8 state rooms with en-suite bathrooms, she sails to Komodo, Deep South Komodo, Raja Ampat, East of Flores, the Forgotten Islands and the Banda Sea. These destinations hold an array of colorful and intriguing marine life as well as stunning scenery and some of the best diving in the world. MV Oceania is the newest addition to liveaboard diving in the waters of Papua New Guinea. Working out of Walindi Plantation Resort, MV Oceania commenced operations in January 2019. She is a 88-foot catamaran accommodating up to 16 guests in fully rebuilt cabins and guest areas. Itineraries include the waters of the Bismarck Sea and beyond, for diving trips on some of the most biodiverse reefs in the world. Old school steel and wood, the Solmar V is a true four-season live-aboard that takes advantage of weather patterns to provide optimal diving year-round. We journey 250 miles south of Los Cabos into the eastern Pacific Ocean to the Revillagigedos Islands, more commonly known as the Socorro Islands—to dance with the Giant Pacific manta ray, cavort with dolphins, dodge seven different species of sharks and thrill to an occasional lucky interaction with the migrating humpback whale population. This is remote, adventure diving at its finest. Lembeh Resort is a spectacular boutique style resort situated on Lembeh Island and perched above the beautiful Strait. The property is surrounded by lush tropical gardens and blends perfectly into the landscape. All guest cottages boast spacious verandas for perfect views of glorious North Sulawesi sunsets and an intimate connection with nature. Modern amenities including air-conditioning, mini bar, wifi internet and massage ensure your comfort and relaxation. Bali Diving Academy, a 5-star member of PADI, has been long recognized as Bali’s premier diving service provider. Operating since 1991, it is a Swiss-owned diving operation of the highest quality, multilingual and 100% accident-free. Our PADI professional management and full service facilities are located in four premier diving locations: Sanur (main office), Tulamben, Pemuteran and Nusa Lembongan, providing an unmatched range of diving experiences. Bali Diving Academy is proudly environmentally responsible and community based, and has something for everyone who wants to discover the underwater world: scuba diving as well as freediving and yoga, with or without accommodation. Walindi Resort is a small dive resort, situated on the shores of Kimbe Bay, Northern New Britain, Papua New Guinea. New Britain is the largest of Papua New Guinea\'s Islands. Walindi\'s accommodation consists of 12 self contained, comfortable bure style bungalows spread along the beach front, and surrounded by rainforest gardens. The bungalows are constructed of local materials and timbers, with thatched roofs. They are all fully screened, with private bathroom, a kitchenette with tea and coffee making facilities, and ceiling fans. Laundry service daily is included in the tariff. Sam's Tours is an independent PADI Five Star National Geographic Dive Center and eco-adventure tour company based in Malakal Harbor, Koror, Palau, Micronesia. Operating every day of the year, we offer scuba dive trips, snorkel trips, rock island tours, land tours, Palau's top rated kayak trips with Planet Blue Kayak Tours and Sam's Tours offers a unique dive experience, Eclipse, a full service chartered dive liveaboard small enough to be exclusive and affordable for just one or two couples or a family. Eco Divers' highly experienced Lembeh guides know every inch of the Strait and will show you where the best critter action can be found. 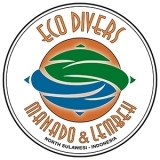 You'll dive off the most comfortable dive boat anywhere in North Sulawesi – Eco Divers own purpose-built vessel fitted with seated dive deck, dive tender/skiff, two toilets, showers, charging racks, sundeck and full safety features. Each of the unique Lembeh Cottages accommodates just six guests in comfort. Elegantly furnished and air-conditioned throughout, each double bedroom has an ensuite bathroom with western-style toilet, shower and hot and cold running water. The cottage has a cosy living room with large TV and DVD player, a separate dining room and an indoor camera room for photographers. Crystal Blue Resort is the first resort in Anilao, Philippines to be purpose-built for underwater photographers. With low guest-to-guide ratios, limited boat loads, long bottom times, and professionally trained guides, the resort ensures that guests experience the best of what Anilao has to offer. Anilao is well known throughout the world for its high-impact macro subjects, so bring your critter list along for the hunt! Crystal Blue Resort’s grounds are well manicured, organized and ready to meet the high standard of any well-traveled photographer or group. Chef prepared meals, air-conditioned rooms, nitrox, and the resort’s renowned house reef are awaiting your arrival. Siladen Resort & Spa is an exclusive boutique dive resort located on Pulau Siladen, a lush tropical island in the heart of the Bunaken National Marine Park—a protected ocean area known worldwide for the richness of its waters and the epicenter of global marine biodiversity. Since the first guest in 2003, the international resort offers guests the most attractive, exquisite and secluded comfort in Sulawesi, plus the region’s most unforgettable diving and snorkeling. 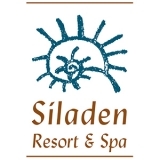 The spa at Siladen gives you a unique opportunity to relax, benefit from traditional treatments, rest your mind and pamper your body. Indulge in soothing, uplifting and restorative therapies based on ancient knowledge and with all natural ingredients. The spa’s aromatherapy treatments use the finest oils exclusively prepared in Bali. Gulen Dive Resort is located at the western part of Norway, in the coast area of Sogne Fjord the world’s largest fjord. The Diving Centre is surrounded by many unique and varied dive sites ranging from from big WW2 wrecks to icy nature dives. Situated in the vicinity of some of the region's top dive sites, Atlantis Dive Resorts and Liveaboards deliver the ultimate Philippine dive holiday. Atlantis Dumaguete offers the famed critter dives at Apo Island and other diving in Dauin. At Atlantis Azores, their first-class dive liveaboard services Tubbataha Reef (Palawan), Southern Leyte (Sogod Bay), and Bohol (Balicasag, Alona Beach, Cabilao, Sumilon and more). Atlantis Puerto Galera offers dive courses, tech diving, instructor courses and more, with amazing diving at Mindoro. Worldwide Dive and Sail started in 2003 with the first sailing yacht running trips to the Similan and Surin islands. Since then, with the addition of our newest luxury yachts the company has moved forward in leaps and bounds as it expanded its destinations portfolio to include such places as Burma Banks and Mergui Archipelago, Andaman Islands in India, the Philippines, Komodo, Raja Ampat, Halmahera and lembeh in Indonesia as well as Layang Layang in Malaysia and other destnations. Ikelite has manufactured underwater flashlights, compasses and photographic equipment since 1962, introducing many innovative new products to the diving industry like the first O-ring sealed underwater light to incorporate a sealed beam bulb, and the first diving compass with a rotating bezel and direct reading degrees. Ikelite manufactures a diverse line of underwater photographic equipment that ranges from housings for simple point-and-shoot cameras to exotic housings for slr and video cameras. Ikelite is famous for the design and manufacture of sophisticated electronic flash units, strobe mounting systems, and a wide range of unique accessories for underwater photography. 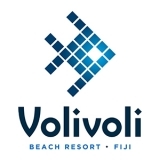 Volivoli started welcoming travelers from across the globe in November 2005, and it has been extending its family of vacationers ever since. From the lush tropical gardens to the high-end accommodation, the resort has evolved into what is one of the best boutique family-run resorts in Fiji. Volivoli Beach is also home to Ra Divers, a fully certified PADI and SSI Dive Resort, and one of the country’s longest established diving operations. Two decades of experience diving the Bligh Waters has allowed the Ra Divers crew to handpick superb dive sites for a truly unique experience. i-DiveSite is an exciting company specialized in innovative design and production of underwater optical and photographic equipment. Aimed at photographers and videographers of all levels, from hobbyist to professional, the company’s products are designed to be highly functional, user-friendly, attractive, and competitively priced. i-DiveSite has distributors all over the world, including Hong Kong, China, Taiwan, Philippines, Singapore, Malaysia, Thailand, Japan, South Korea, Australia, Austria, Germany, Italy, Spain, Netherlands, Switzerland, the United Kingdom, Canada and United States. Inon designs and manufactures a wide range of underwater imaging equipment, from arm systems and GoPro accessories to housings and strobes. Their catalog includes the popular Z-240, D-2000 and S-2000 strobes, and an extensive range of close-up and wide-angle lens attachments that have become the go-to conversion lenses for countless underwater photographers. ReefNet has been developing unique marine technologies for more than 15 years. Its products combine smart engineering with elegant design, solving problems with style. Some of its specialties include: dive data recorders; interactive DVD field guides; underwater optics; underwater communications; and marine life books. Its customers include: recreational and commercial divers; dive instructors and training facilities; marine scientists and educators; fishwatchers and marine naturalists; underwater photographers; and government and military users.